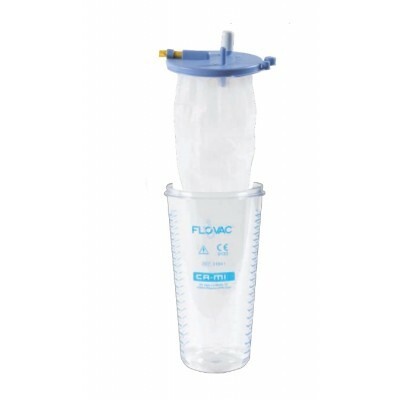 FLOVAC® Disposable Liners made in polyethylene feature a lid with overflow valve, tandem port, port closing caps, and a disposable soft liner bag hermetically welded to a rigid lid. The hermetic sealing makes FLOVAC® Disposable Liner particularly hygienic, simple and safe, both for the patient and staff responsible for removal and replacement of suction collection canisters. 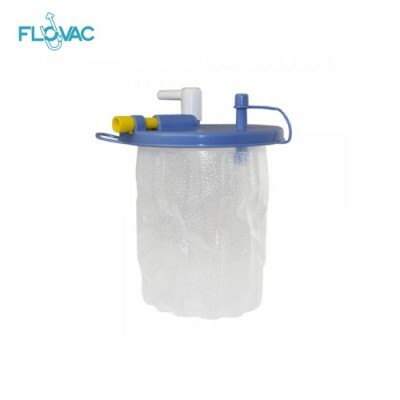 FLOVAC® Disposable Liners are also equipped with an anti-reflux, hydrophobic and antibacterial filter protecting the equipment and the vacuum device.This filter also operates as overflow valve system deactivating suction whenever the maximum fill capacity is reached. The “PATIENT” port, once the elbow connector is removed, allows suction and collection of fluids containing bones fragments. A graduated scale printed outside the canister allows to keep under control the volume of the suctioned fluid. 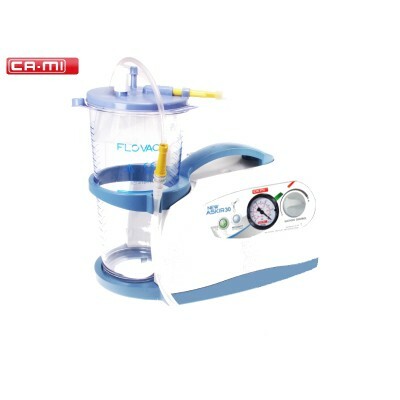 The right container size can the chosen according to the fluid volume to be suctioned. In case of volume exceeding the maximum size available, the tandem port can the used. This allows the cascade connection of two or more containers, increasing the system collection capacity. FLOVAC® Collection Jar is a reusable collection container made in polycarbonate working in conjunction with FLOVAC® Disposable Liners.